Welcome to Citizens Advice Carlisle & Eden. 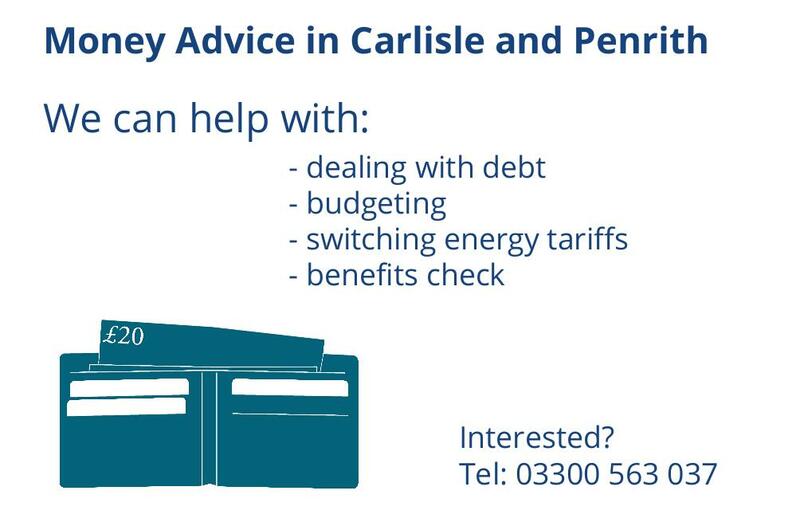 We provide free, confidential, impartial and independent advice and information on their rights and responsibilities to the people of both Carlisle and Eden districts. Due to high demand on our resources, you may experience delays in accessing our drop-in service. We aim to deal with all enquiries as soon as we are able. We are indebted to our volunteers who give their time and commitment to Citizens Advice Carlisle & Eden. We couldn’t carry out our services without them. Citizens Advice Carlisle & Eden works at a local, regional and national level to speak up about the policies and services that cause people problems. The stories our clients tell us provide a unique insight into the problems faced by the people in the Carlisle and Eden districts.